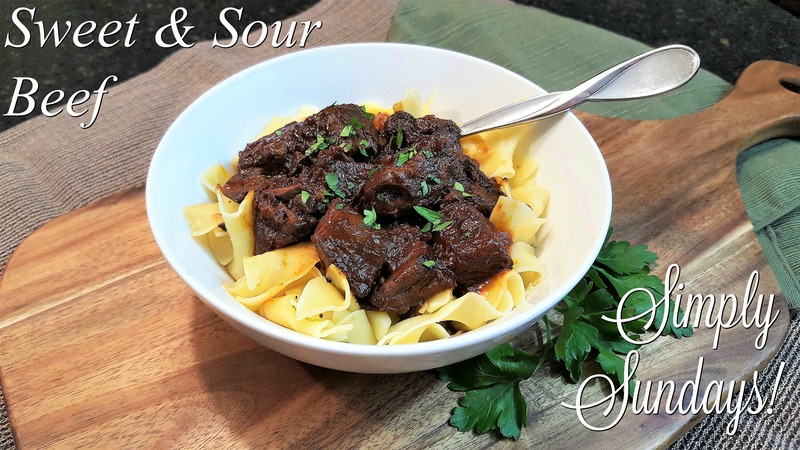 Sweet & Sour Beef – Simply Sundays! First step is easy, slow cooker maybe. Perhaps even the pressure cooker, now we are talking! We served this over egg noodles with a sprinkle of fresh parsley!